Stampendous-Embossing Powder Kit: Aperture. Give all your projects a unique look! Apply generously over slow drying ink and heat to set. 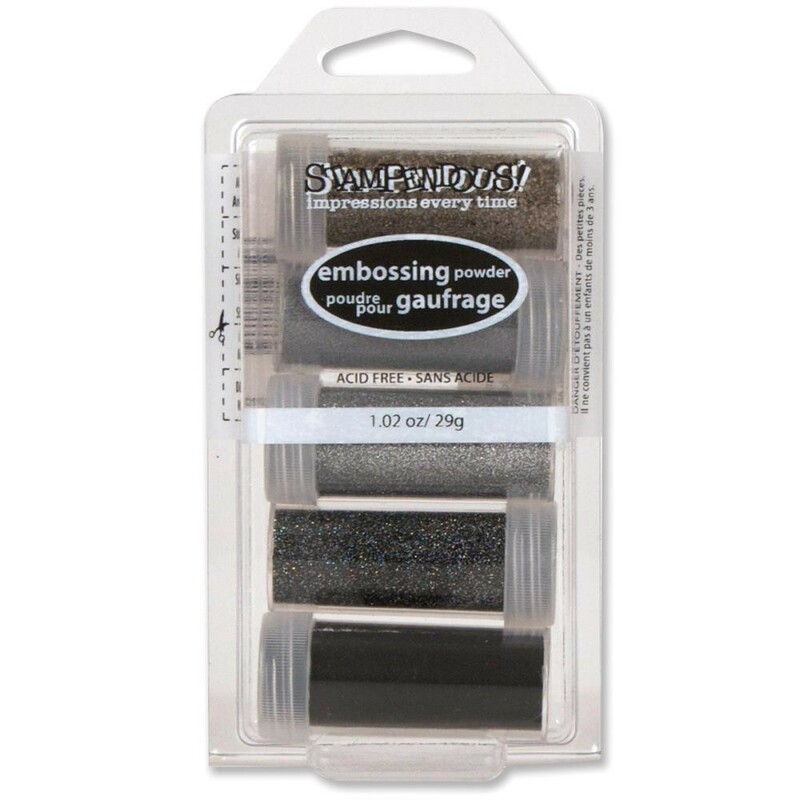 This package contains five embossing powders in Aged Silver, Sterling Silver, Silver Tinsel, Marcasite and Detail Black colors. Acid free.